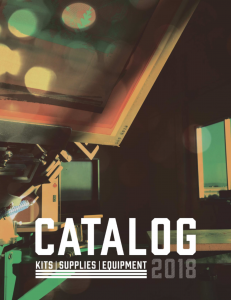 Whether you are just starting up or are a screen printing industry veteran, Ryonet has the resources you need and the products you want. All of the above, we need this digital catalog to reach our customers more quickly and to help lower the cost of printed materials. Tradeshows, emailed links/PDFs and eventually sharing the digital version. The user interface is very intuitive and easy to use.